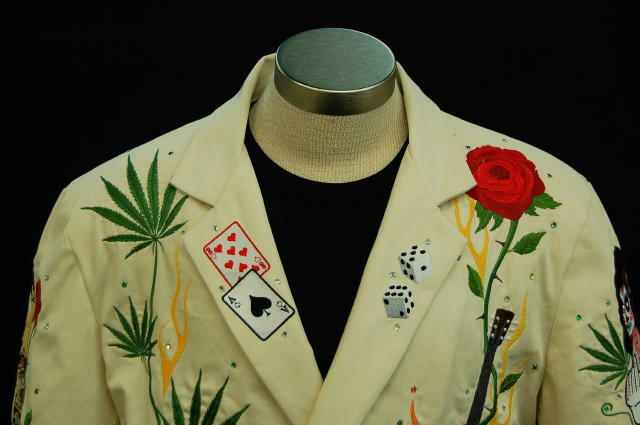 Nathan Turk, Rodeo Ben, Nudie Cohn and Manuel Cuevas are some of the most renowned western tailors in the history of fashion. 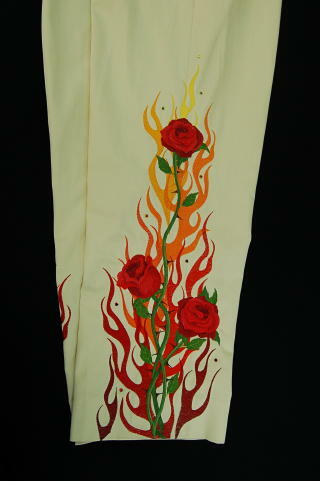 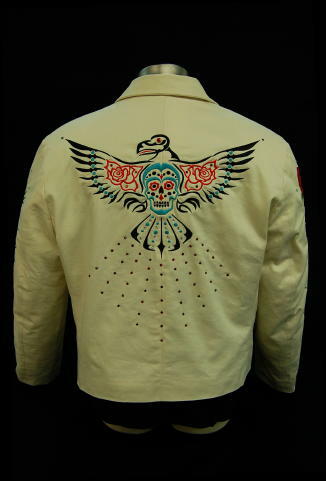 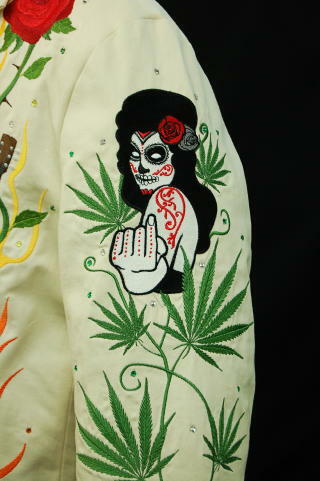 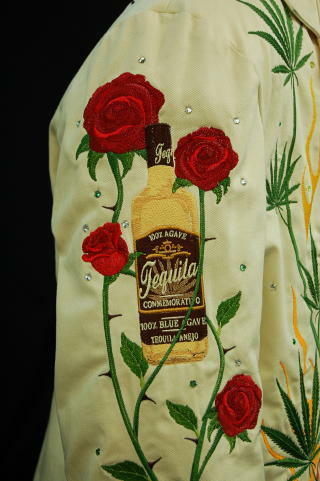 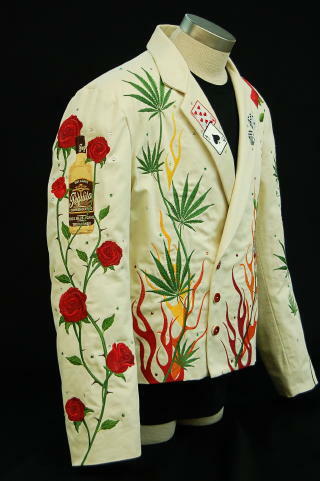 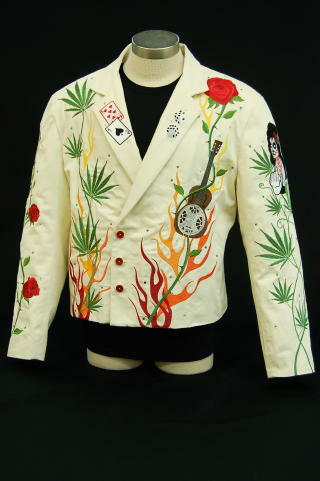 However, among many aficionados of western wear, country/western music, rock 'n' roll and show business, the nomenclature for flamboyant suits decorated with extravagantly embroidered themed images and rhinestones is "Nudie Suits". 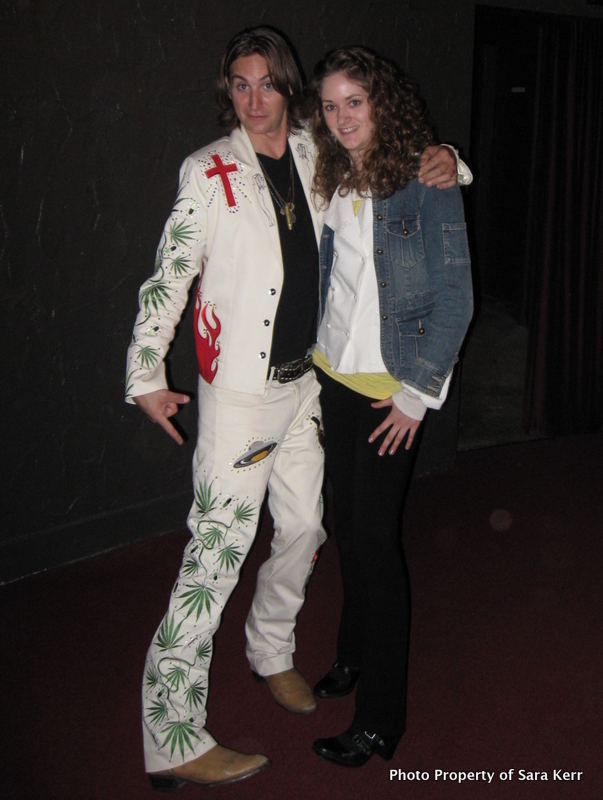 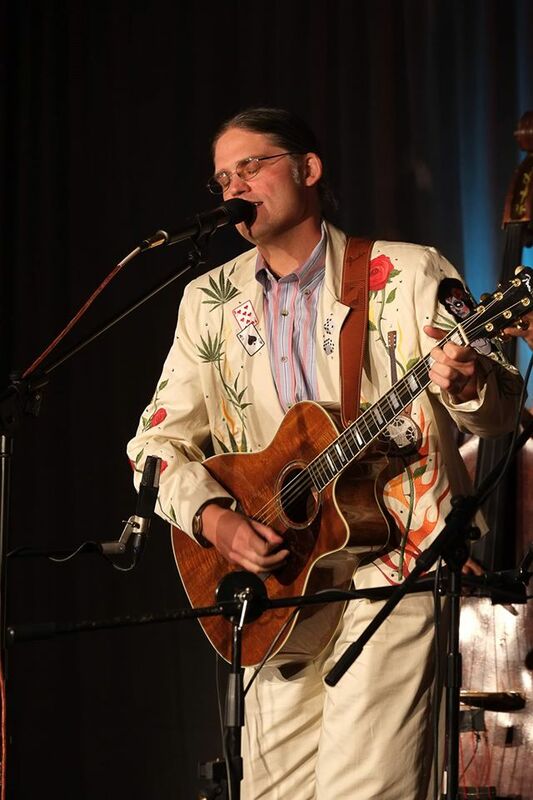 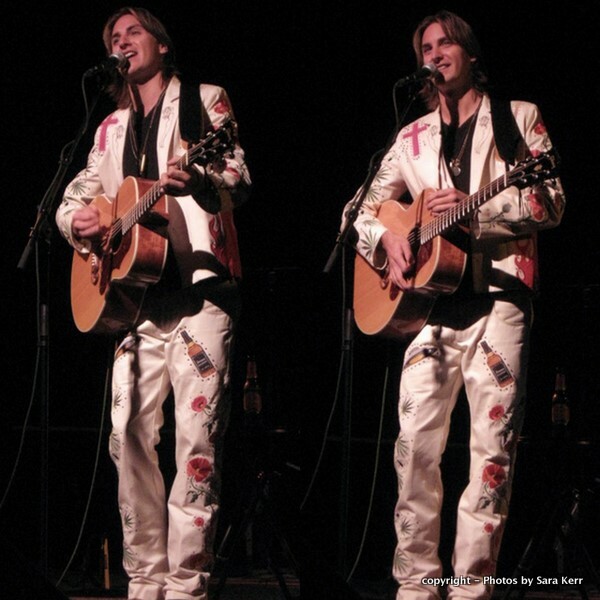 Anders Drerup as Gram Parsons in the theatrical concert Grievous Angel:The Legend of Gram Parsons with artist Sara Kerr designer of the suit he is wearing. 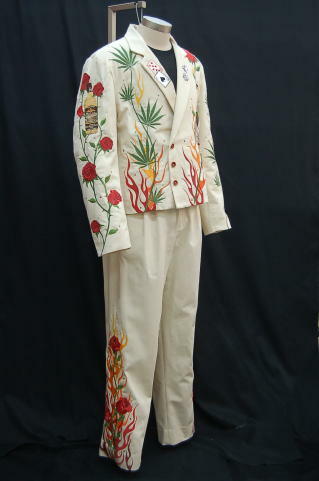 We ARE NOT a walk in store.